As a parent of two small children, I value peace — and peaceful things — more than just about anything else. And as a music lover, I place a similar value on songs and albums created the old-fashioned way, with live musicians playing in the same space, with a respect for the roots of the craft they share. 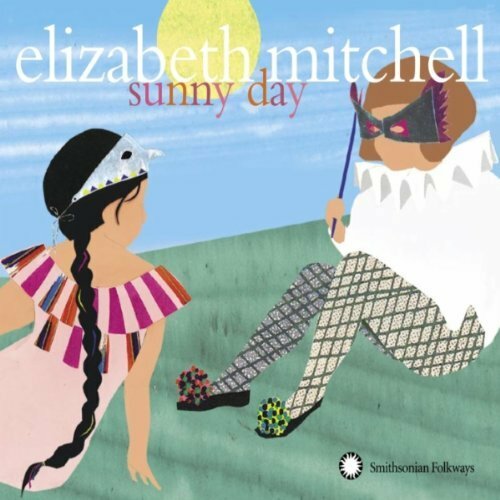 These are two of the reasons that I was thrilled to see Elizabeth Mitchell’s Sunny Day on the release schedule, and why it’s high on my list of the most wonderful family albums of 2010. Matter of fact, much like the Flannery Brothers’ New Explorers Club, I’d argue that this is an album that you can enjoy even if your kids aren’t around — or if you don’t have any children at all. But where a lot of family records would use those songs as parent bait, Sunny Day weaves them into a soothing multicultural quilt of rootsy, gracefully arranged music, performed by Mitchell, her husband Daniel Littleton, and their nine-year-old daughter Storey. “In a world that can often feel overwhelming, chaotic, and just too busy, this music is a deep sigh of peace and a full smile of love,” writes Amanda Blake Soule in the liner notes, and I don’t think I can do any better than that — Sunny Day is the kind of album that, no matter how you were feeling when you turned it on, always lifts your mood a little. There’s a lot of fine family music out there these days, but even the best kids’ artists are often guilty of pandering to their audience by hopping up their albums with artificial sweetener — wacky songs, silly voices, rainbow wigs and puffy costumes. It’s an easy way to get attention, and I understand why it’s so commonplace — and I also deeply appreciate it when an artist doesn’t give in. Kids like being silly, but they’re also finely tuned in to the beauty of the world around us, and Sunny Day is a warm, endlessly reassuring affirmation of that beauty. We can all use more music like this. This entry was posted in Music and tagged CD Review, Elizabeth Mitchell, Jeff Giles on October 12, 2010 by Jeff Giles. Dead on. You rock, Jeff! I love Elizabeth Mitchell’s music. Used it in a 2-3 year-old classroom with great results.